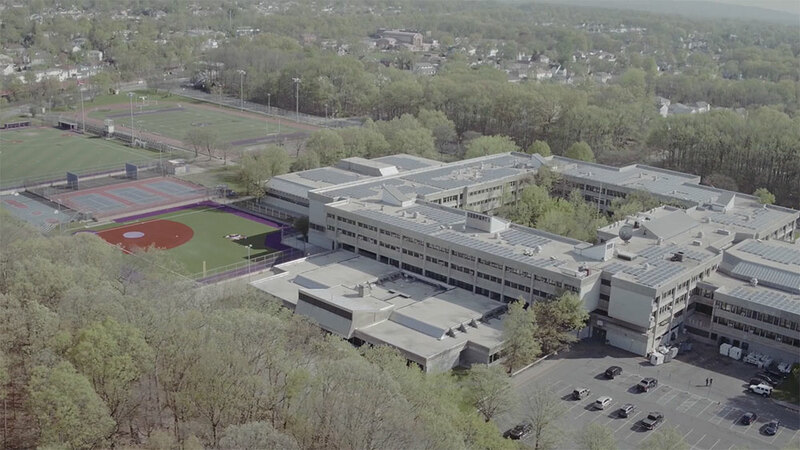 NYC Department of Citywide Administrative Services | Welcome To Stokes Creative Group, Inc. 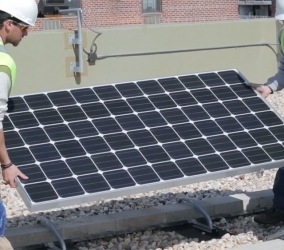 The DEM Clean Energy Resources team is responsible for the advancement of renewable and alternative energy technologies to supply clean and reliable energy for New York City government operations. 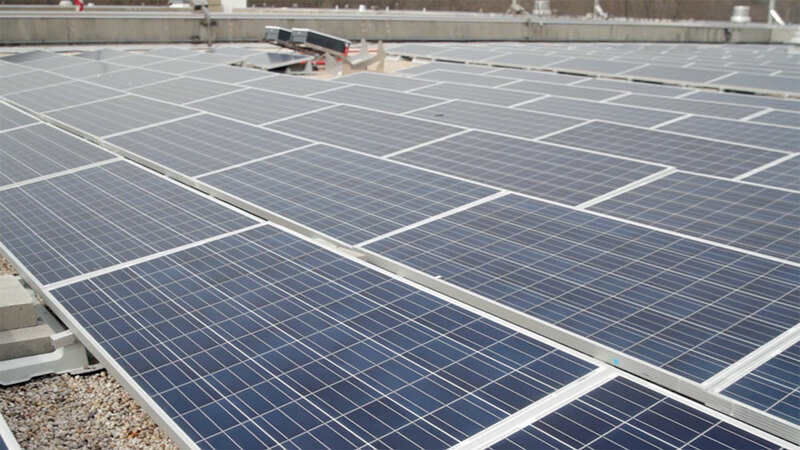 As part of Mayor de Blasio’s “One City Built to Last” plan, the city is committed to reducing greenhouse gas emissions by 2050. 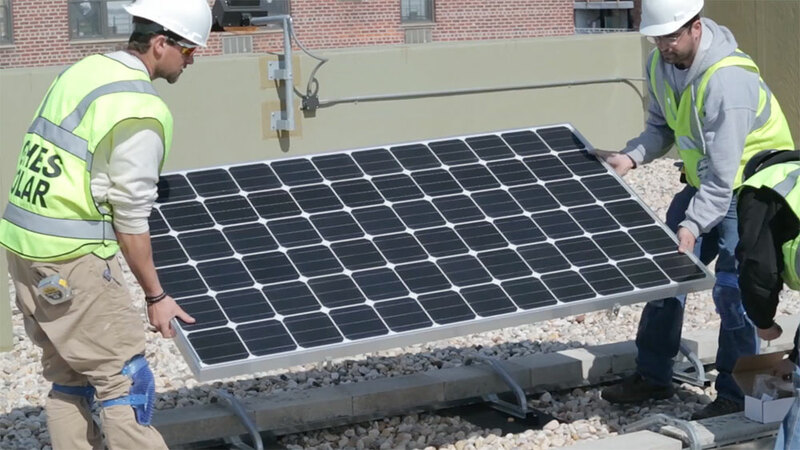 By 2025, the City will install 100 MW of solar capacity installed on City-owned buildings, and is moving towards a 100% renewable power supply for government operations. 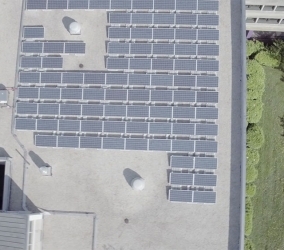 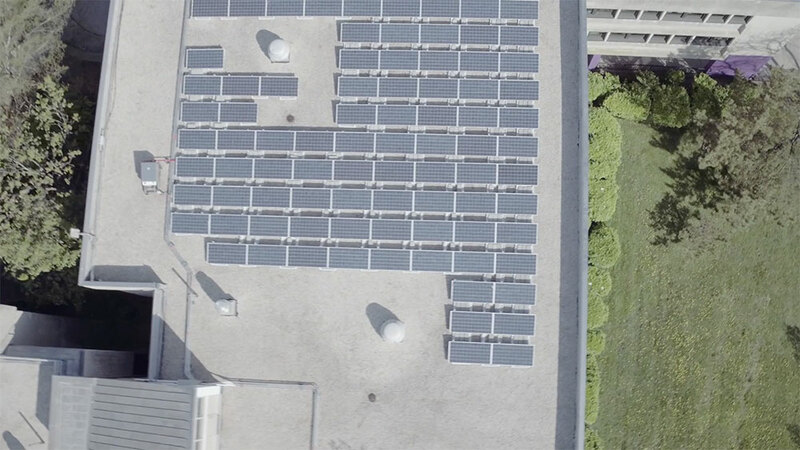 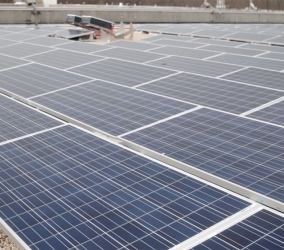 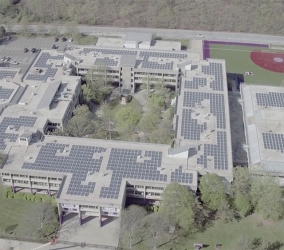 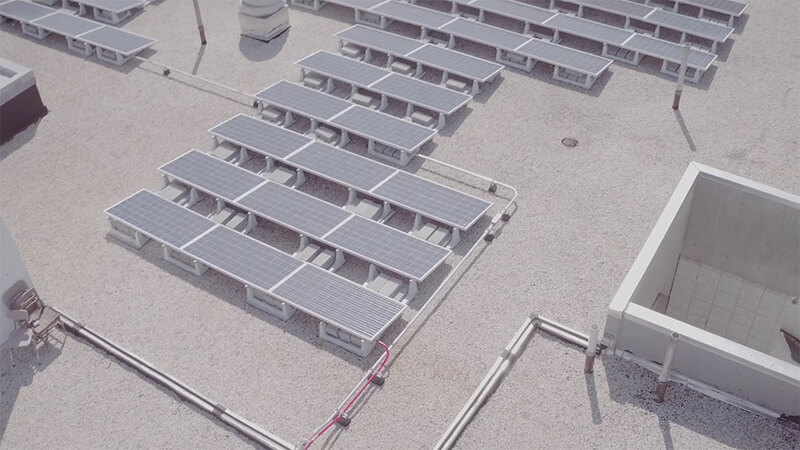 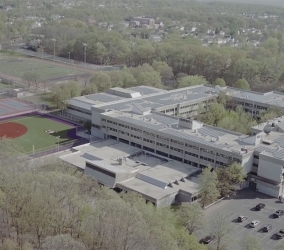 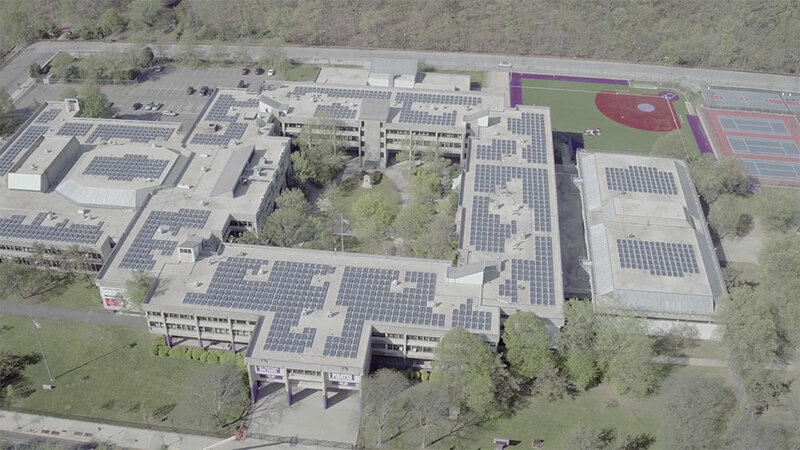 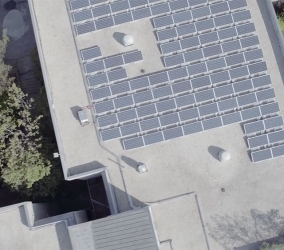 Stokes provided aerial drone videography for the DCAS (Department of Citywide Administrative Services), capturing footage of the installation of a new photovoltaic system at Tottenville High School in Staten Island, NY. 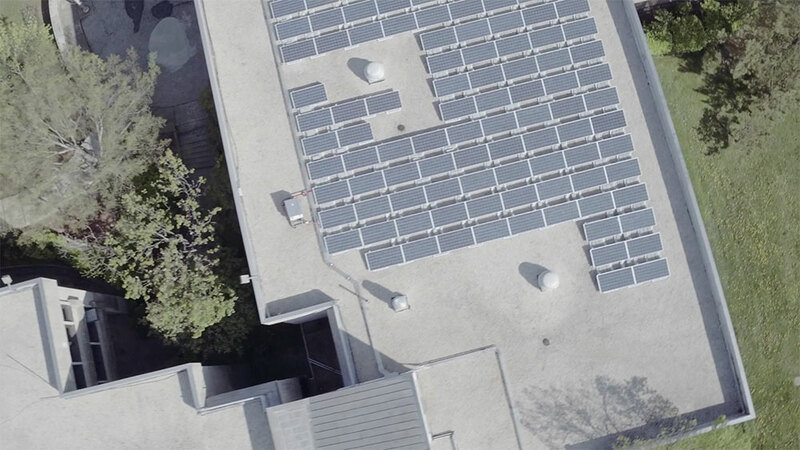 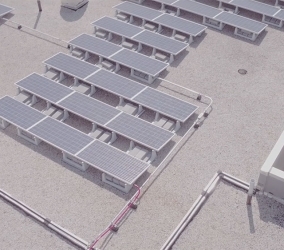 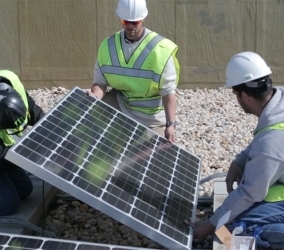 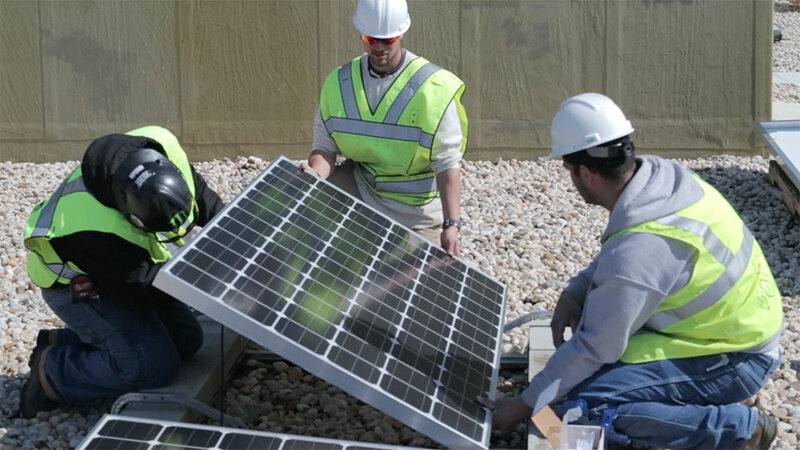 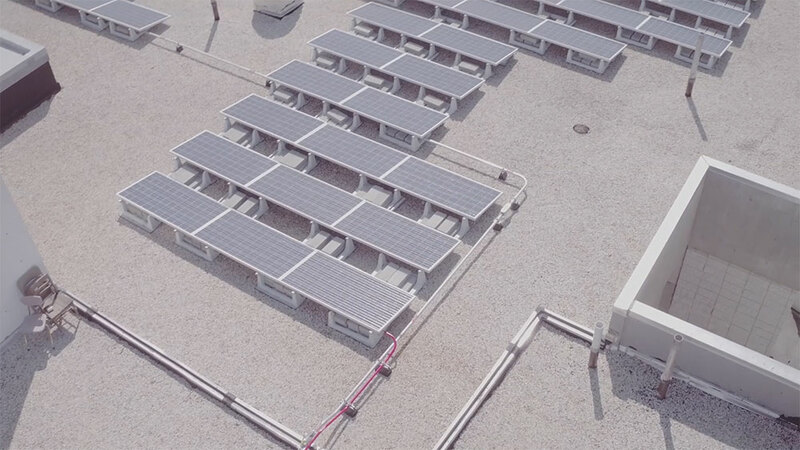 Using a combination of aerial drone footage, key personnel interviews and documentary style video coverage, Stokes created a promotional video highlighting the advantages of going green by utilizing solar energy. 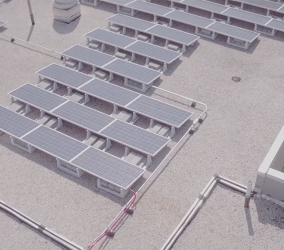 This video is being used to help push the clean energy campaign further, as well as provide insight into the efforts behind setting up a large array of solar panels.